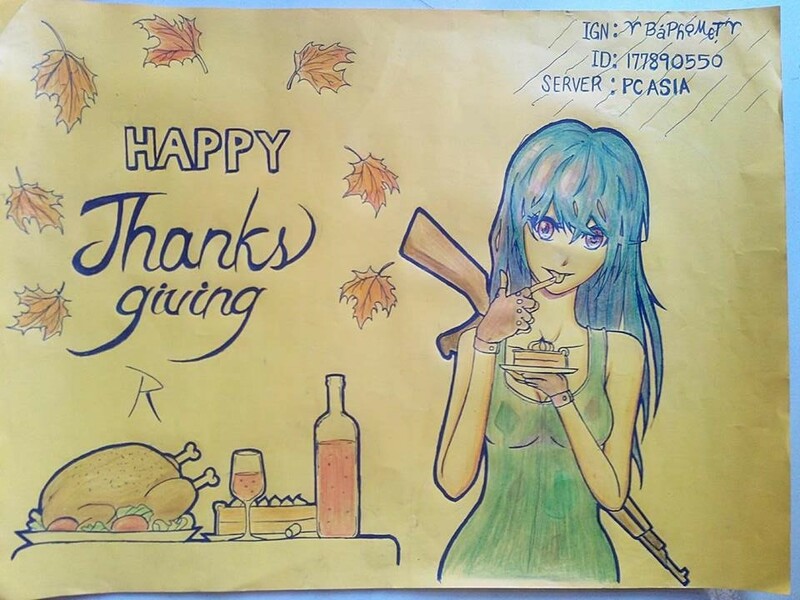 Here is my entry for the thanksgiving event ( drawing ) hope you like it. I also want to thank RoS because the game is like a companion to me since it helps me stay up when im bored and depressed. Through RoS i also gained friends all around asia who serves as my companion in my adventure to survivability.